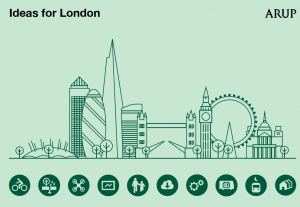 April 2016: Think tank Policy Exchange has produced two reports over the past few months on London’s air quality crises (Up In the Air: How to solve London’s air quality crisis – Part 1 and Part 2). Though the bulk of the two studies are concerned with pollutants from the transport sector, the issue of emissions from London’s growing decentralised energy generation capacity also come under consideration. • Spatial maps showing the concentration of air pollutants estimated from the emissions rates of the heating technologies considered in the LEP. March 2016: The Aldersgate Group held an event on 3 March entitled ‘The Mayoral Election: London, The Environment and the Low Carbon Economy‘. A summary of the evening’s discussions are not posted on their website – however – they been emailed around. I’ve reproduced the content of that email below. 11 April 2016: “The UK’s first solar power generating bus stop has been opened in Canary Wharf. Designed by Polysolar Ltd it is made with transparent photovoltaic glazing, which captures the sun’s rays even in low light. It was unveiled on Friday, April 8, outside the HSBC building in Canada Square by London Mayoral candidate Sian Berry.” Read the full story in The Wharf – with more on this story at Gizmag. 11 April 2016: Results of a Greenpeace poll published today – “A poll of 1007 people carried out by Mora consulting found that 73.2% of Londoners (and 70% of undecided voters) thought it was either very or quite important that the next mayor take steps to make London a leading city for solar power.” Read the full story on the results here. This builds on a report published by Greenpeace UK – undertaken by Energy for London – on potential London solar initiatives for an incoming Mayor. April 2016: With the publication last week of the manifesto of the Liberal Democrat’s Caroline Pidgeon, all four major London Mayoral candidates have now set out their proposals in relation to energy and climate if they were to become Mayor. I’ve produced a summary of these proposals, across various categories of interest, in the following document. The first – and most significant – pledge around energy to emerge from the manifestoes is that all four main candidates have set out their intention to establish a new London government based energy business. Zac Goldsmith references the work that Boris has taken forward over the past few years in advancing Licence Lite – but states he “will go further to set up ‘Energy for London – a new clean energy company'”. 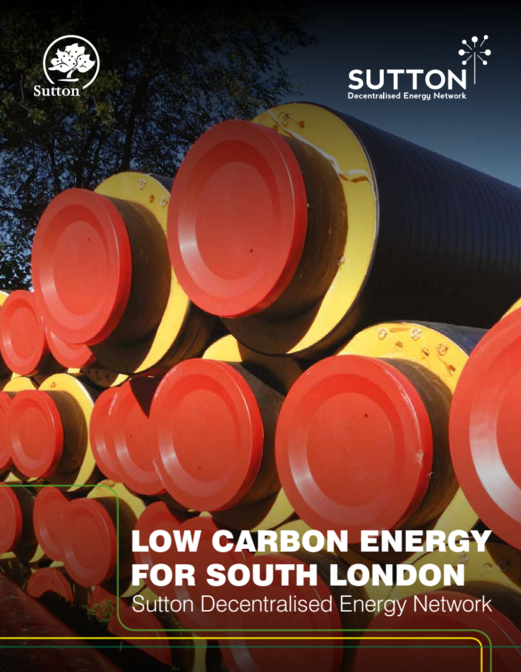 Sadiq Khan will establish ‘Energy for Londoners’ and both Caroline Pidgeon and Sian Berry state the will establish a new London energy company – Sian saying that this new business concern will be linked to Transport for London (the detail of which has been previously set out in a Jenny Jones commissioned report). N.B. There has been a previous attempt during Ken Livingstone’s tenure as Mayor to establish a municipal energy operation. The London Climate Change Agency (LCCA) (see wiki entry here) operated for a few years before made defunct as part of a restructure of the then London Development Agency. Worryingly, no candidate commits to working to achieve two long standing London climate targets: the 60 per cent 2025 carbon reduction target and the 25 per cent 2025 decentralised energy target. All candidates are keen on electric cars, with Zac Goldsmith pledging to introduce Paris’s Autolib electric car rental scheme to London – something Boris has talked about doing since 2009. There are warm words for support for developing community energy projects in London – with most detail set out in Zac Goldsmith’s manifesto. Sian Berry and Zac Goldsmith haven’t given up on the Green Deal model – both propose to investigate a London pay-as-you-save energy efficiency retrofit initiative. Caroline Pidgeon interestingly supports working with London councils to introduce a ‘consequential improvements’ policy – a proposal that Government scrapped back in 2012 – a decision which significantly contributed to the eventual demise of the Green Deal. All candidates support increasing the number of solar power installations in London with Caroline Pidgeon and Zac Goldsmith committing to specific targets – PV capacity equivalent to 200,000 homes/750MW/a 10 fold increase in solar – all of which amounts to around the same thing (see Greenpeace’s London solar report) which has contributed to candidates consideration on the future of solar in the capital. All in all, it’s massively encouraging that energy concerns and their relevancy to the future of London have been recognised across all main manifestoes. 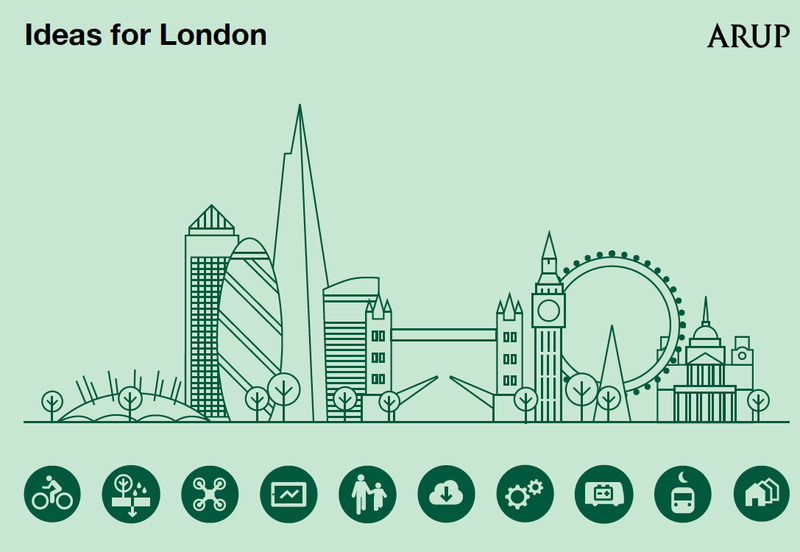 Issues such as reducing the city’s contribution and response to climate change, increasing energy affordability, and accelerating the deployment of measures to enhance energy efficiency and decentralised energy are promoted by all candidates, which gives confidence that GLA programmes in place, such as RE:NEW, RE:FIT, DEPDU and others will continue to be supported by an incoming Mayor. Some omissions from the manifestoes which it would have been good to have seen including advancing smarter energy initiatives (such as building on the work the GLA are doing with Tempus Energy and Kiwi Power), addressing potential energy security of supply issues in the capital (an issue previously raised by the Mayor and an area of GLA activity through the Mayor’s High Level Electricity Working Group), energy efficiency in the commercial building sector (a significant and difficult issue for Mayor, with next to no regulatory powers over existing buildings…), and how new sustainable energy activities going forward will be financed. However – despite these concerns – this has been a great start providing much to build upon!